I have not witnessed enough test cases to statistically verify anything, but I have heard various Chassidic Rebbes make b'rachos and daven out loud, and without fail, they mispronounce a majority of the words. I'm not talking about using a different pronunciation scheme (havara) for the vowels and letters (which is of course not mispronunciation), but mil'eil / mil'ra mistakes. This is in contrast to the many other non-Chassidic rabbis whom I've heard who do not make nearly as many such mistakes. Chassidic Rebbes are ignorant of grammar, and simply don't know the correct pronunciation. They are purposely mispronouncing a majority of the words they say, even though they know how they really should be pronounced. I'm wrong. Chassidic Rebbes use normal pronunciation, and the ones that I've seen happen to have been the exception. Why would they be ignorant of grammar? These Rebbes are, for the most part, known to be great Talmidei Chachamim, proficient in Torah knowledge. What kind of talmidei chachamim don't know basic Hebrew grammar? (Most siddurim even show which words are mil'ra and mil'eil, and even which sh'va's are na or nach.) And even if they are, for some reason, ignorant of grammar, why should they be any more so than the non-Chassidic rabbis? Why? I can't think of any reasonable explanation for this. This is in my opinion unlikely, but possible. Does anyone know which of the options above (or another that I overlooked) is the correct explanation for this phenomenon? Please explain. If you ask many Chasidim today why they don't take care to pronounce words properly; why they don't place the emphasis on the correct syllable; distinguish between a shva na and a nach, dagesh from rafeh, you may hear something that goes as follows: "This is by design. We intentionally de-emphasize dikduk because the Maskilim overemphasized it." You may be happy with this explanation if you chose not to pronounce the words correctly, but, it's plain not true! The reason why they mispronounce words is because in the times of the Haskalah one of the Shittos of the Maskilim was to be extremely makpid on Dikduk. So whilst countering the Haskalah, they took on to specially ignore grammar to show that the Maskilim were wrong in their general way of life. אמר ר' אחא: עם הארץ שקורא לאהבה איבה, כגון: ואהבת, ואייבת. אמר הקדוש ברוך הוא: "ודילוגו עלי אהבה". אמר ר' יששכר: תינוק שקורא לְמשֶׁה מַשֶׁה, לְאַהֲרן אַהֲרַן, לְעֶפְרן עֶפְרַן. אמר הקדוש ברוך הוא: "וליגלוגו עלי אהבה"
And his flag (‘vedigulo’) is, to me, love. Therefore, the mispronunciation is okay, if you don't know the correct pronunciation. [Israel] don't require an interpreter between them and G-d, because He accepts graciously even gibberish. 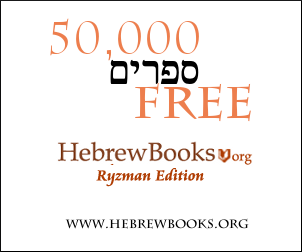 Stressing of syllables in Hebrew in the way determined by the Tiberian Ba'aley HaMesorah and indicated by the ta'amim (trop) as printed in Bibles is a legitimate issue for halakhic concern when it comes to keriat hatorah and keriat shema. But the obligation to pray is one that may be fulfilled in any language: couldn't you be open to accepting the Ashkenazi tradition of Hebrew as as a medium of communication / language with its own legitimacy? Grammatical "correction" of davvenning is a perennial issue. In every generation there are people that discover that things are out-of-line with the dikduk of biblical hebrew and introduce "improvements" in the text of the prayers. These tend to erase living features of the the language. For example, at one time the suffix indicating a singular masculine possessive or direct object was 'akh' throughout Ashkenazi siddurim, e.g., 'Na'aritzakh ve-Nakdishakh' in Kedushah. Someone noticed that in Biblical Hebrew this form is reserved for females and so corrected everything to, e.g., 'na'aritzkha ve-nakdishkha'. Hebrew is not just Biblical Hebrew; there were later, living developments, which were reflected in the text of the prayers. By the way, whether spoken Hebrew in the time of the Mishnah was accented mainly mille'eil or millera' is, I think, an open question among academic linguists of the language. There are different opinions concerning some of the pronunciations etc. Chassidic Rebbes at times will say things differently on purpose, since every word of Tfilah (or Brachos etc.) has an affect on the upper worlds, therefore by saying the words in different ways they affect these worlds in the way they see fit. Not the answer you're looking for? Browse other questions tagged hebrew grammar-dikduk chassidic-rebbe . Why do people frequently change tunes toward the end of Lecha Dodi? Is there a chasidus that is makpid on dikduk? Hebrew Grammar: How did Nif'al end up as the passive/reflexive of pa'al? B'rashith (Genesis) 27.28 - the Hebrew rule of grammar, is it a vav sheva or a vav patach?